Hearing loss is one of the most common conditions impacting people today; however, it’s also one of the most overlooked and undertreated health issues. This may sound obvious, but it takes the average person around 10 years from first suspecting they have hearing loss to doing something about it. Know that correcting hearing loss early can help slow future deterioration in hearing and protect your physical and mental health. If you’re concerned you may have hearing loss, schedule a hearing test with an audiologist in your area today. Once you’ve scheduled your appointment, there are a few things you can do to help you prepare for this important visit. When you visit an audiologist for a hearing test, you’ll want to provide them with comprehensive information about your medical background. From any family history of hearing loss to current medications, your audiologist will want to know these important details to help create a complete picture of your hearing health. If you spend a lot of time at outdoor contacts, at the shooting range or work a job that exposes you to frequent loud noise, you’ll want to tell your audiologist. Noise is one of the leading causes of hearing loss, but can easily be prevented with the right methods. 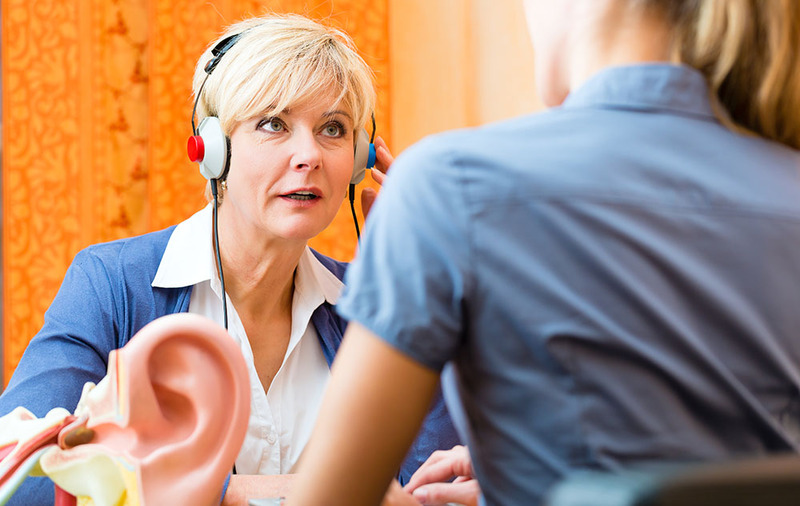 The audiologist wants to build up a picture of your hearing difficulties and needs. This means filling out a questionnaire and having a chat about what you’ve written. The hearing test itself is painless, non-invasive and will measure your ability to hear using a combination of exposure to sound and bone conduction tests. The audiologist gets the results there and then, and will discuss them with you. Based on their recommendations, you may have a discussion about the best hearing device to meet your needs, choose a device and possibly take impressions of your ears so the earmolds can be manufactured. Having your hearing tested is a simple process and will be completed in a short amount of time. You can ease anxiety and expedite the hearing test process by preparing beforehand and bringing crucial information with you. Don’t be afraid to talk to your audiologist about any questions or concerns you may have.